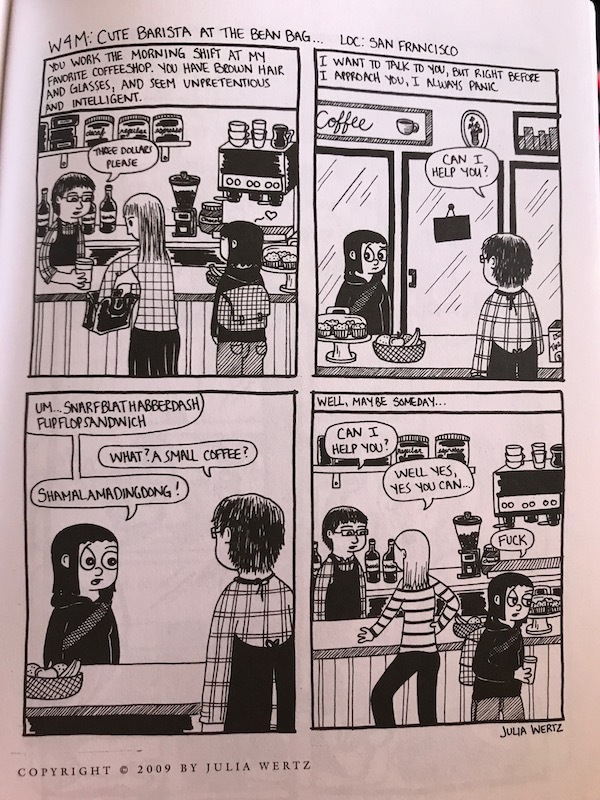 I Saw You…: Comics Inspired by Real-Life Missed Connections – loudlatinlaughing – Euge! Euge! 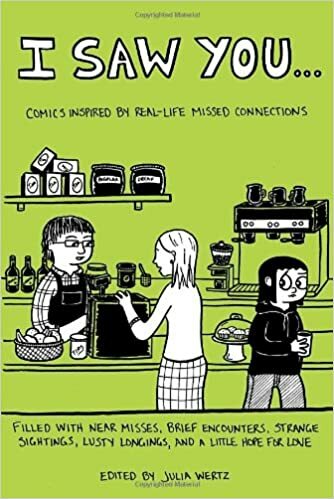 Wertz edited this collection of comics inspired by real Missed Connections, which are always a hot bed of entertainment. Best of all is that the cover image (Wertz’s) is of Bean Bag Cafe in SF. The utter hopelessness and optimism of these posts are heartbreaking, but you can’t help diving in for more. I just checked the site again and weirdness flows in abundance still, so the world is ok. (Whole Foods on Franklin: “You were the gorgeous blonde in black. I was astonished by your beauty. I wasn’t clear if you were alone and didn’t want to cause drama. You know who I am. I was adoring you by the kale and apples.